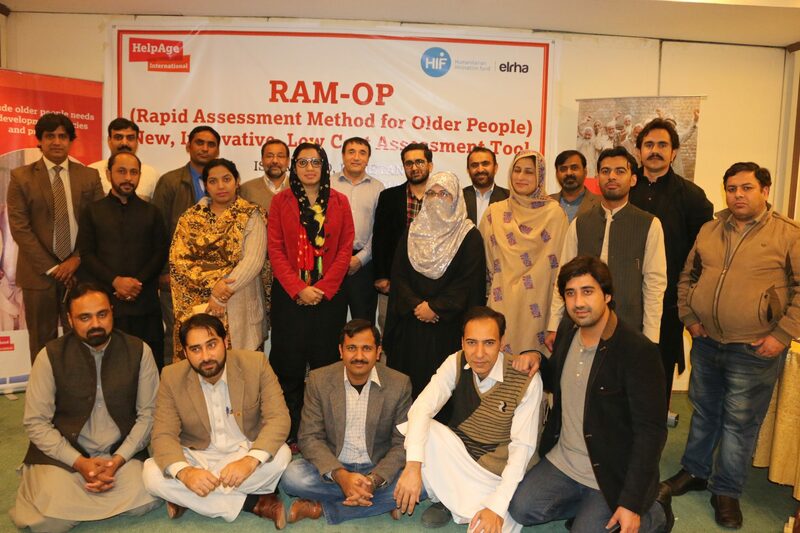 From 17-20 December, humanitarian staff from UN and government agencies and NGOs, including HelpAge International’s global network members, gathered at training workshops in Cox’s Bazar, Bangladesh, and Islamabad, Pakistan, to learn about the innovative RAM-OP (Rapid Assessment Method for Older People). RAM-OP is a low-cost and robust assessment methodology that helps to identify the needs and gaps of older people both in humanitarian and development settings with the main focus on health, disability, and nutrition. 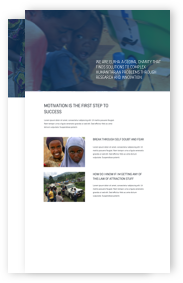 It has been developed by HelpAge International, Valid International, and Brixton Health and supported by Elrha’s Humanitarian Innovation Fund. More than 31 stakeholders participated in the Bangladesh and Pakistan RAM-OP workshops including WHO, UNICEF, ACTED, IRC, Maltster, HOPE, and IR. Participants learned how to measure malnutrition in older people using uniMUAC developed by HelpAge International and MSF, Dementia screening and how to identify people with psychological distress using Kessler 6 as well as practical teamwork to apply disability questions. Participants also learned how to assess visual impairment in older people and those with disabilities using “E’’ tumbling chart and also have access to technical support in the future if they apply RAM-OP methodology. The workshops generated a lot of interest and discussion among partners and network members both in Bangladesh and Pakistan. Overall feedback from participants was very positive and reflected the fact that the needs of older people and people with disabilities have been neglected up to now. RAM-OP is a powerful tool that enables different stakeholders to gather evidence on the needs and gaps of older people. Digital data collection on ODK and survey 123 ArcGIS for RAM-OP was extensively discussed and it is clear that by applying digital data collection the RAM-OP methodology becoming very low-cost assessment. Special RAM-OP web application is also available and can be used free of charge. RAM-OP focal points in each country will make sure technical support is available for any network members and external stakeholders if they apply RAM-OP assessment.